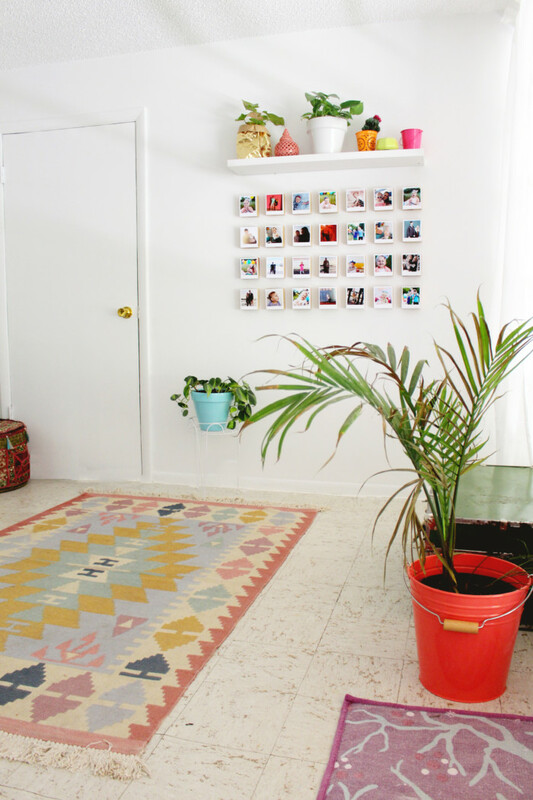 Place photos within the large squares and crop to them if necessary. Then save the print as a JPEG or PNG. The lines will not print so don’t worry! If you’re using the JPEG template, there are just two little squares. Match your photos to those, just barely covering them. 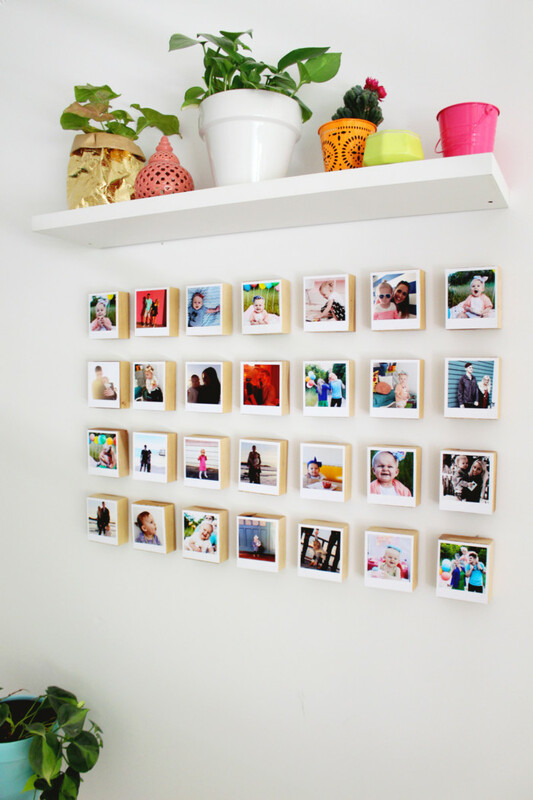 3.Print your photos on 5″ x 7″ prints from your favorite print shop. 4. Cut 1″ off the bottom of each print. 5. Cut each print in half right between the two photos. 6. Cover the back of each block with glue (I painted on Mod Podge). 7. 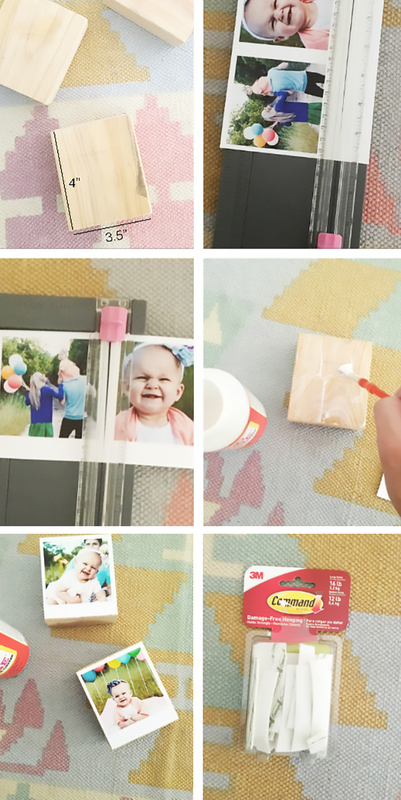 Place each photo on each block, pressing to the glue. 8. 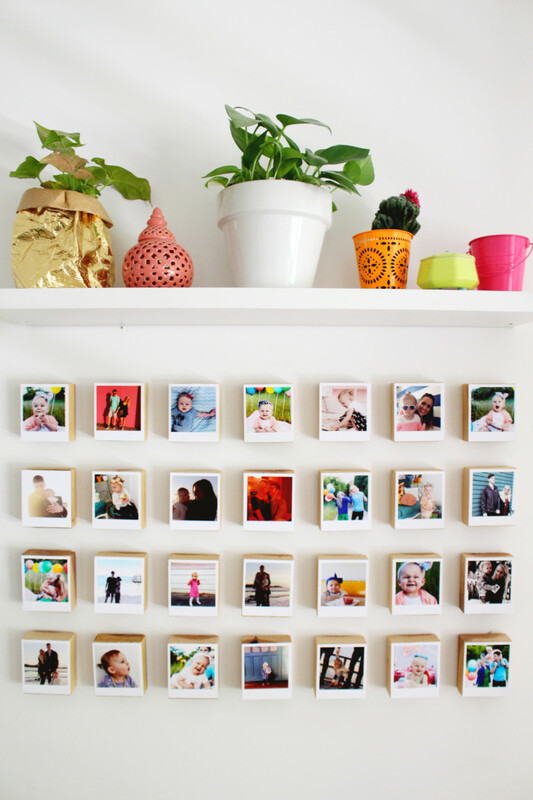 Cut velcro command strips into 4ths, you don’t need a whole strip for these blocks as they’re fairly lightweight. 9. Attach connected pieces of command strips to the back, top, center of each block. 10. 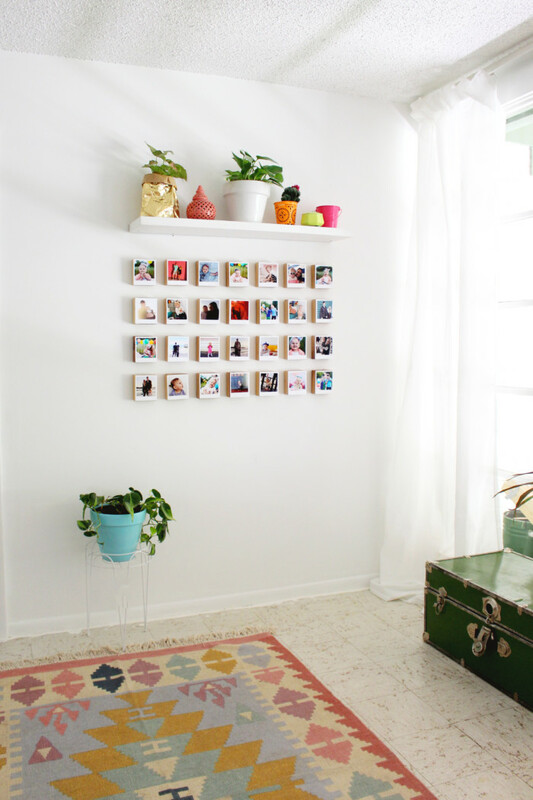 My favorite way to hang a grid uses the following items: ribbon or string, scissors, level, tape measure, pencil and tape. I did 28 blocks. So I would have 4 rows of 7 blocks. I wanted them directly under the shelf and that measurement was 34.5″ long. I That left about 1 5/8″ between each block. Each row was spaced 2″ apart. 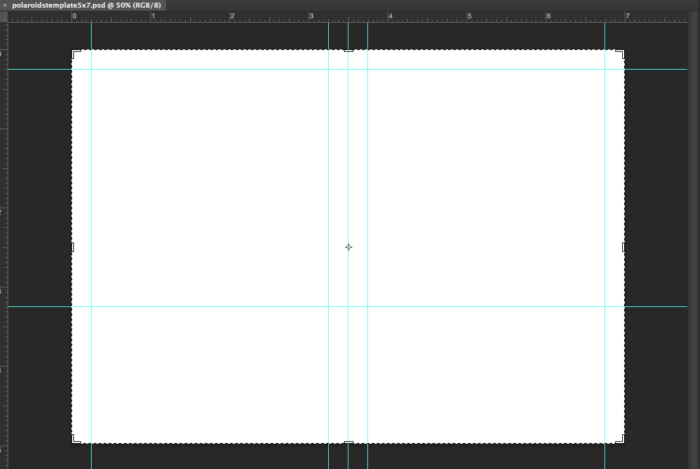 So each square on my grid measures 5 1/8″ by 6″. Except the last column (on the right) which is 3.5″ x 6″. 12. Remove tape backing from the velcro strips and match each block to the top left of each square on your grid. 13. Remove ribbon/string grid. All done! 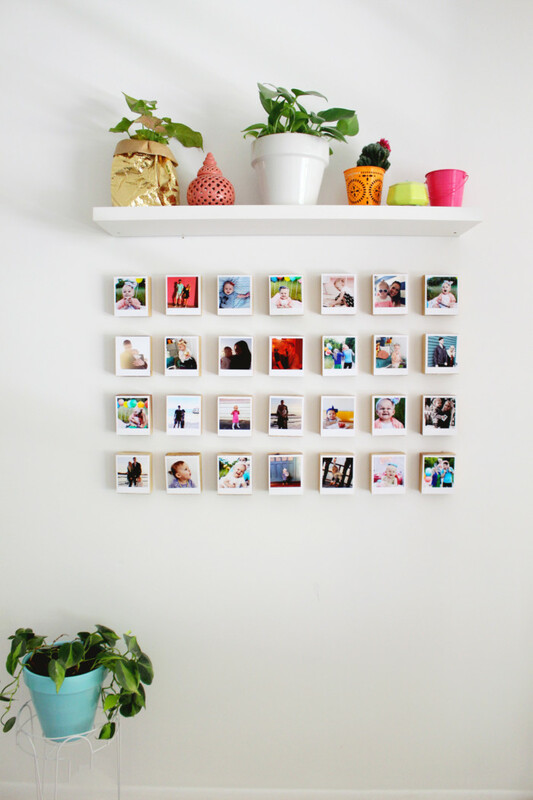 I always get lots of compliments on these blocks and I’m sure you will too! 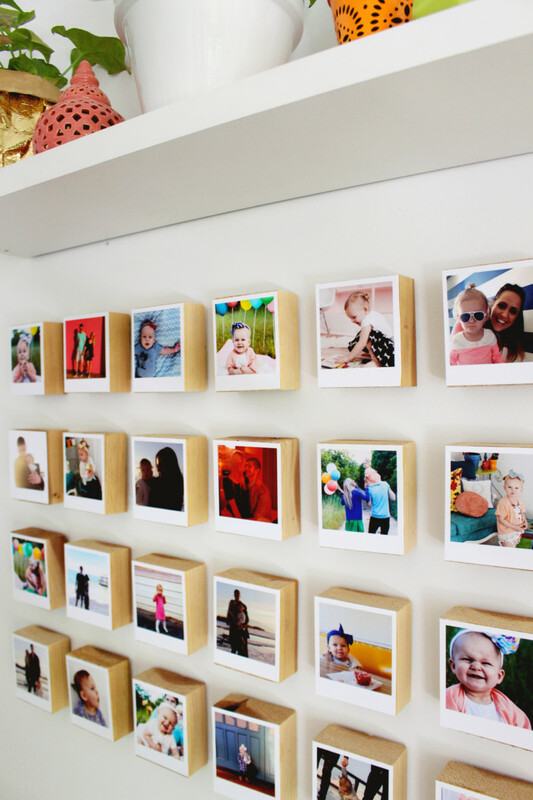 Its a unique idea that showcases a lot of photos in a fairly simple manner. 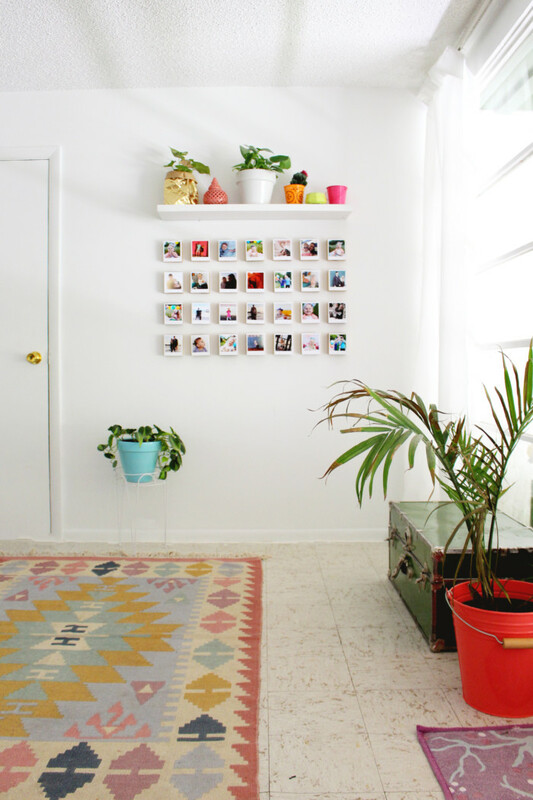 The grid makes it look clean and neat instead of chaotic, which is hard to do with 28+ photos! I’m so happy to have more photos of my family displayed in my home. 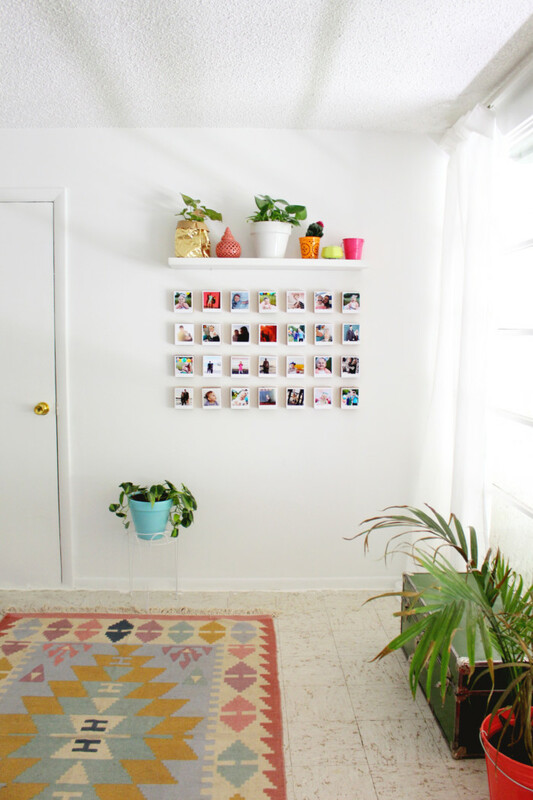 Are you planning a gallery wall any time soon?